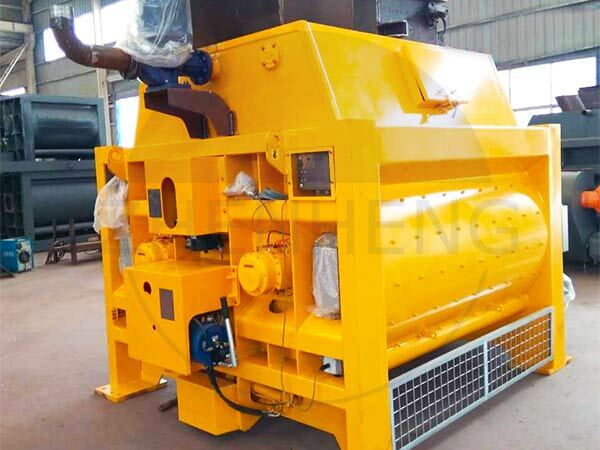 HZS180 Concrete Batching Plant-Zhengzhou Zhenheng Construction Equipment Co., Ltd.
HZS series concrete batching plant, is high-efficiency compulsory equipment which is high, widely used to large and medium scale building construction site, road, bridge and prefabricated factory. The main machine adopts zhenheng brand JS series concrete mixer from JS500 concrete mixer to JS3000. Here we introduce information about HZS180 concrete batching plant which just delivery 2 sets in August. HZS180 80m3/h concrete batching plant, belong to belt type concrete mixing plant as big capacity batching plants with high automatic controller. HZS180 180m3/h concrete batching plant is an ideal commercial mixing plants for its large capacity, a high yield which all the powder delivery, measurement are in a closed station, and completely eliminate the dust emissions of various parts are used to reliable performance. HZS180 concrete batching plant is composed of batching machine: PLD4800 concrete batching machine, JS3000 double shaft concrete mixer, automatic electrical control and other parts. JS3000 twin shaft forced concrete mixer is with good mixing quality and high efficiency; PLD4800 concrete batching machine aggregate ingredients using ingredients, accurate measurement, high production efficiency. For more details, welcome all clients who are interested in concrete mixer and concrete batching plant come and visit, Zhengzhou Zhenheng Construction Equipment Co.,Ltd, founded in 1982, is a high-tech enterprise specialized in manufacturing construction machinery.